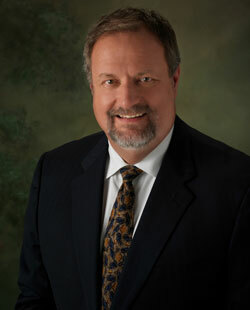 Scott Webb, D.O., is a graduate of Chicago College of Osteopathic Medicine. He completed his internship and Orthopedic Surgical Residency at the county trauma center – Mt. Clemens General Hospital in Michigan. He completed his Spine fellowship at Florida Spine Institute in 1998, where he was trained in all aspects of spine surgery including scoliosis and minimally invasive techniques. Dr. Webb is now the Surgical Director of Florida Spine Institute and is involved in multiple research projects including motion preservation (avoiding fusions of the spine) as well as minimally invasive surgical techniques for the treatment of spinal stenosis and back or neck pain. Dr. Webb has traveled abroad to teach and perform spine surgery. He performed the first Facet Joint Replacement in the Lumbar Spine in Romania and in the United States. He developed the Spine program at the Community Hospital in Timisoara, Romania where he also trained Romanian orthopaedic surgeons in spine surgery from 2004-2009. While doing this he received his Honorary Doctorate (Honoris Causa) from their medical school – Victor Babes University of Medicine and Pharmacy. He has presented at many local and international Spine conferences. Dr. Webb has treated patients throughout North America, South America, Europe, Puerto Rico, and the Virgin Islands. He is a member of the North American Spine Society, American College of Spine Surgeons, American Osteopathic Association, American Osteopathic Academy of Orthopedic Surgeons, and American Academy of Orthopedic Surgeons. Currently Dr. Webb’s focus is on minimally invasive spine surgical techniques, motion preservation surgery, cervical and lumbar disc replacement surgery, as well as disc restoration and regenerative technologies utilizing adult stem cells.